An interfaith prayer session will be held by rabbis and sheikhs at the Gush Etzion junction on Sunday evening, in light of the arson attack on a Palestinian family in the Palestinian Authority (PA) village of Duma. The Shorashim organization, as well as Rabbi David Stav and Rabbi Shlomo Riskin from Ohr Torah Stone, initiated the rally for the Dawabsha's family recovery. Participants, so far, include Rabbi Yoel Bin Nun, Rabbi Mordechai Vardi, Rabbi Dov Singer, Rabbi Yaakov Meidan, Rabbi Yaakov Nagan, Rebbetzin Michal Nagan, Rebbetzin Hadassah Froman, Rabbi Benjamin Kalmanzon, Rabbi SarEl Rosenblatt and Rabbi Hanan Schlesinger, as well as Sheikhs Ali Abu Awad and Ibrahim Abu Al Hawa. "We must loudly denounce these [types of] events," said Rabbi Shlomo Riskin. "The man who committed a terrible thing is a terrorist in every respect, and he deserves punishment in accordance with the law." "The Temple, which was destroyed on Tisha B'Av, was a symbol of justice, mercy, and honesty," he continued. "When we lose our moral standards, we lose our holiness." "The essential goal of the State of Israel is to be a light unto the nations and serve as a compass of justice and morality to the world, and if we do not make full efforts to fulfill that mission, we do not deserve a state." 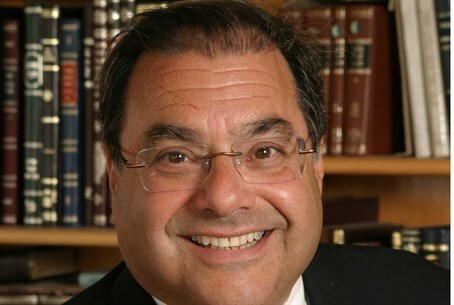 Rabbi Riskin and CEO Yinon Ahiman sent a letter to the rabbis and students in the Ohr Torah Stone network Sunday calling for their participation in the rally. "We are hurt and shocked by the heinous murder committed in the name of our people on Friday morning," the letter stated. "Out of a sense of duty we must cry out our protest against the criminal murder in the village of Duma." The assembly will take place at 6:00 pm local time; participants are encouraged to bring their own books of Psalms.